In a similar fashion to the Japanese and Chinese martial arts Capoeira is a self defense system that requires self-discipline a lot of training and has a hierarchy that goes from masters and legends to the hundreds of thousands of students all over the world. But in our opinion it goes a bit beyond that and there is a cultural, historical and indeed spiritual dimension that may pass unnoticed to the non-initiated. What interests us here is the historical, and who knows spiritual aspects of this fight. Until recently the generally accepted history was the following: it came from Africa and was used and developed by the slaves in Bahia as a means of self-defense against the slave owners, once the afro population started getting its freedom and slavery was finally abolished it was used in the margins of the society in the state of Bahia and gradually reached its white population. In the sixties and seventies of the 20’th century it was taken to Rio and Sao Paulo and was adopted by the middle class as a more colorful and closer to home martial art and from there it spread throughout the world. Recently a richer history starts to appear. It links Capoeira to Candomble (the afro Brazilian religion). The terreiros where the sessions took place were a constant throughout Brazil and because of the secrecy around them little is known or documented. The fact is that they were the meeting point for slaves coming from different tribes, speaking different languages and with different customs. What happened in them fulfilled a socializing role as well as providing them a place to express spirituality and give sense to their lives. It is part of many African religions and tribal rituals that young males affirm their propensity to be good warriors in front of their community to be accepted into adulthood and it is more than probable that this went on in the terreiros and that this is how and where Capoeira was born. The “roda” or the people around the fighters singing and clapping to the rhythm of the drum probably came before or together with the fight. This explains why there were so many “Capoeiras” setting up “Quilombos” (hidden and independent sites) throughout the country at the same time, and not only in the state of Bahia. In the context of a community coming from different ethnicities, speaking different languages and under an extreme duress the “roda” came as a unifier that give them vivacity, respect, a social life and pride which in many ways spread out to the wider Brazilian community and it way of being. In this Capoeira and Samba have a similar origin. 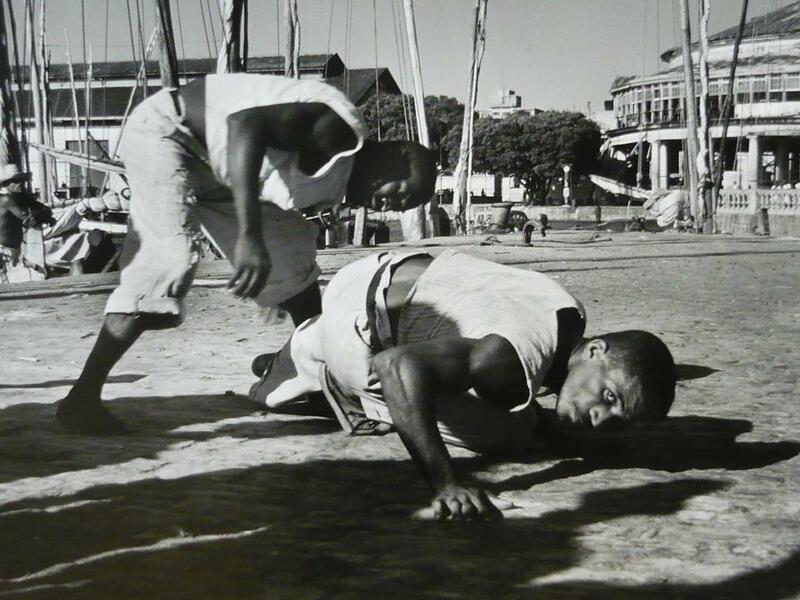 The history of Capoeira as a modern martial art is the subject for another discussion.